A new partnership revolving around the NATS Art Song Composition Award has been announced. Each year’s winning composer will have their work programmed on a future Cincinnati Song Initiative concert. The National Association of Teachers of Singing (NATS) and Cincinnati Song Initiative (CSI) have announced a new strategic partnership revolving around the annual NATS Art Song Composition Award. Each year’s winning composer will have their work programmed on a future CSI concert as part of its Americana series, which presents new American songs alongside those of our country’s greatest composers of past eras. This partnership will help fulfill the missions of both organizations through the promotion of new American art song. “As a supporter of the creation of new art song, NATS is excited to share our winning composers and their works with a wider audience through this new partnership with the Cincinnati Song Initiative,” says Allen Henderson, Executive Director of the National Association of Teachers of Singing. The purpose of the Art Song Composition Award is to stimulate the creation of quality vocal literature through the cooperation of singer and composer. With cash prizes sponsored by American composer Lori Laitman, the competition has become an annual occurrence with increased notoriety throughout the art song community. Recent winners include Benjamin C.S. Boyle, Matt Boehler, David Conte, Robert Patterson, Melissa Dunphy, and David Sisco. While each year’s winning piece is presented at the annual NATS conference, the new NATS-CSI partnership will double the work’s exposure to the public with an additional performance on a Cincinnati Song Initiative concert. 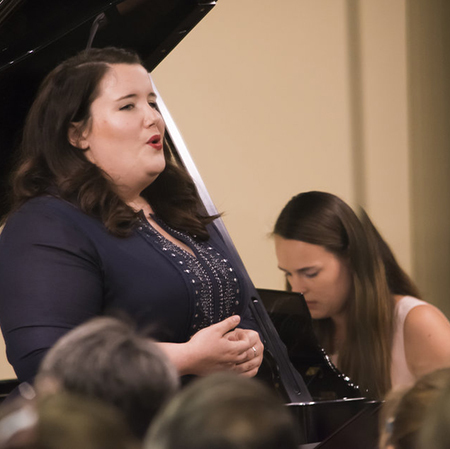 This year’s competition deadline is December 1, with the winning piece to be premiered at the 56th NATS National Conference in June 2020 in Knoxville, Tennessee. CLICK HERE For more information and to apply for the 2019 Art Song Composition Award.